Drug Addiction Counseling for the Successful Abandon of Addictive Substances! Drug dependency is a severe problem with millions. People get addicted to substances like heroin, cocaine, alcohol, methamphetamine etc. and find them incapable in living a life like a normal person. Moreover, these persons do not get the esteem and equal rights in the society like others. In the initial stage of drug use, people don’t often realize the drastic effect of the drugs but later or sooner drug addicted people understand the problems caused by the addictive substance. Hence, look for Drug Addiction Counseling. People often believe that if the addicts spend significant time in a rehabilitation center, their problems can go away and that the suffer will be free from the addiction but this is not always the case. Besides a rehabilitation center, drug addiction counseling is also needed to treat the problem because it is not merely the drug that causes the addiction; the problem is in addict itself. So unless the addict himself makes up mind to get rid of the drug abuse, the success of the treatment cannot be expected. Thus, Drug Addiction Counseling is needed. When someone finds him/her incapable in processing and expressing their feelings in a healthy way, inability to deal with life and inner conflict keep hitting their mind, they take assistance of using the addictive substances. Addicts take help of these substances to avoid and hide their feelings. Whether they are happy, depressed, sad or ecstatic, they use the addictive substances to cope with feelings. Why to Seek Help for Drug Addiction Counseling? When people engage in obsessive and compulsive behavior, they soon start to lose all their control over their actions. At this point soon they reach to a level where nothing can help them to lose their family, their self image, their jobs and social right too. However hard an addict may try to get rid of the drug abuse, he can’t control himself using that over and over again, despite their best intentions. They are helpless over their ailment and cannot stop using on their own. This is the situation where getting help of Drug Addiction Counseling comes into the action. Drug Addiction Counseling is an imperative part of several types of addiction treatment programs in a rehab center all across the world. Addiction is seen as an ailment that can be treated through a combination of strategies and tactics. 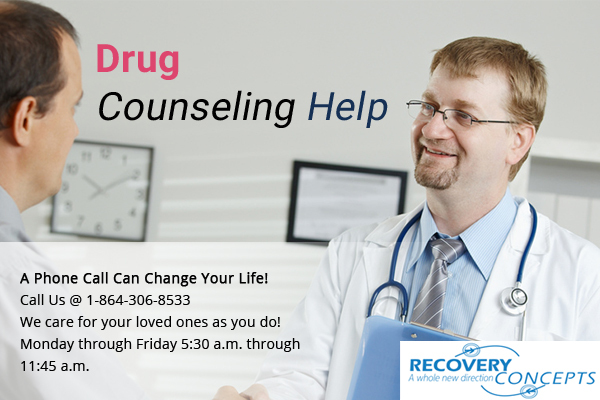 A professional drug addiction counselor at any rehab center uses proven method of counseling that go a long way to change the mind frame of the addicts and help them leave the drug abuse in a happy and healthy manner. Is It Possible to Treat Opiate Addiction?